Uncategories My Dialogues With The Shadow ! My Dialogues With The Shadow ! I had seen my own shadow a number of times but I never noticed its significance during my morning walk or sometimes paddling. 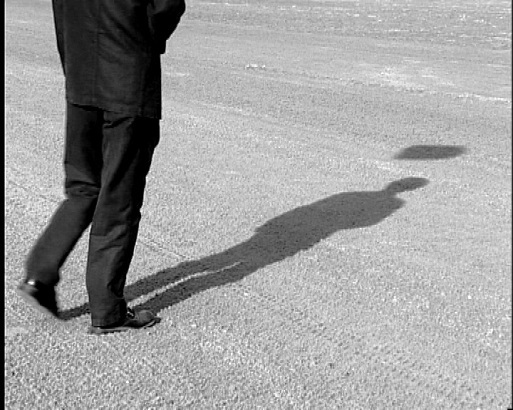 A shadow is a dark area where light from a light source is blocked by an opaque object. It occupies all of the three-dimensional volumes behind an object with light in front of it. In this way, the darkness of shadow in the morning is long whereas, with the rising of the sun, it shrinks. And when it is at the top of your head, it fell on one point. This is the point when a man searches for his existence and search for his own shadow. With the sun-set, it elopes and merges itself with the darkness to feel the pulse of its pains. In fact, the shadow is symbolic of the existence of light because, in the darkness, we feel a fear of our dark shadow. It moves with you all the time, in every movement and keeps an eye on the character of your shadow. It warns you and puts an alarm on your feet to move carefully. However, it depends upon you, as to how serious you take it. Don’t become yourself a shadow rather develop your individuality in such a way that people may become anxious to follow your shadow. Sometimes some people in the habit of living like a shadow turn out to be an obstacle in your life and become the unnecessary part of your life. One must take care of such persons. It is an admitted fact that those living under the shadow of prominent, intellectual and disciplined persons, learn a lot as they, by virtue of their experiences have the capacity to become a mentor for others. The dialogue with its own shadow, the combination of a lot of questions and answers, the gap between error and integrity of imperfections, wisdom and evil, and uselessness in the workplace and inaction, man becomes the creator of new steps in his own analysis. Shadow, in other words in the company of good people, is sometimes a philosophy of detached action who shows the right paths in life. Shadow has never been in the grip of someone and people unnecessary try to catch them. Parents and teachers are like the shadow over the whole of life, perform a human duty of children’s dreams in the completeness of their dreams and their biographical concerns, they get satisfaction from their indestructible existence. Frankly speaking, on two occasions, I realized the real meaning of shadow. Firstly, when the vigilance department traps the corrupt person for taking a bribe and keeps a person at a distance as a shadow witness which later on is tried as a prosecution witness to establish the sequence of the trap. Secondly, when I feel that only the shadow in the grave is important which consume its creator also and lost its existence. Without any object, the shadow has no existence. In other words, the existence of shadow is with the light. The shadow of darkness will be darkness. But it depends upon you as to how you adopt in your life. The shadow always comes out of the light and lives equal to the life of light and ends with the off of the light. If you keep your face towards a light, you will not see the shadow and you will not allow your life to be shoddy. But those who become a shadow for others, gives real colors of life to them and if you welcome such a terrain and thought-awakening, you will grow as a real light of the society with your high caliber of words and deeds with real dynamism and sincerity which speaks of your character like a tree and reputation like a shadow.